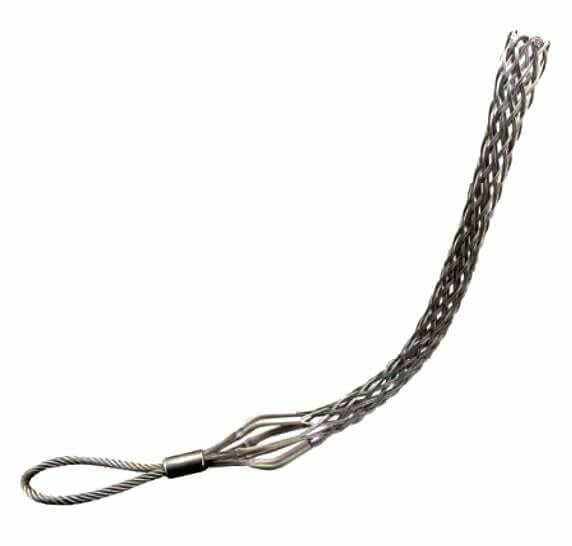 With a double weave lattice configuration and a single eye for pulling duties, this single eye double weave cable sock option is ideal for mid-weight tasks. It sits in our heavy duty range by dint of straddling several size categories and length options. Every single eye double weave cable sock in this line up is fashioned from galvanized steel. The main differences come in terms of breaking strength and lattice length. The most compact of the bunch offers a breaking strength rating of 2040kg and a length of 534mm. The largest can handle loads of up to 14 tonnes and has a standard length of 660mm; we can also supply this in a longer length version with the same breaking strength , with a maximum length of 1010mm. Whatever your wire rope needs, we can meet them with our huge selection of quality products. Ordering wire rope socks or getting guidance from our team is straightforward when you call Rope Services Direct on 01384 78004 or contact us online. Single Eye Double Weave cable Sock Overall rating: 5 out of 5 based on 6 reviews.